Police were called to investigate an incident at the rapper's Hollywood Hill's residence. A burglary was reported at Kanye West's Hollywood Hill's home. The Los Angeles Police Department has confirmed that its Hollywood division responded to a burglary call at the home of rap sensation Kanye West in the 7800 block of Fareholm Drive. Officers responding believe the home was burglarized either early Wednesday morning or late Tuesday night. No other details have been released in regards to whether anything on the property was taken or who was present at the residence during the incident. The outspoken performer had fans lining up around the block at sporting and shoe stores last week when the Air Yeezy 2 sneakers he designed for Nike went on sale. West is the first non-athlete to have a shoe deal with the brand, and the sold-out kicks (which retailed for $375) quickly appeared on bidding sites such as eBay with auction amounts in the thousands of dollars. West, who is currently dating reality TV star Kim Kardashian, is currently in Birmingham, England, on a concert tour with Jay-Z. 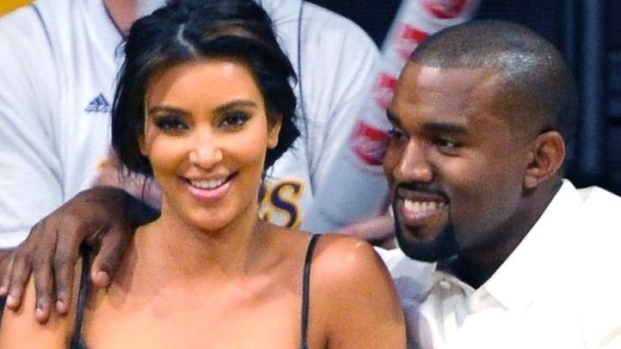 Kim Kardashian talks about her Laker game date with Kanye West, and whether fans will spot her new beau in the upcoming season of "Keeping up With the Kardashians."